Sometimes we like to get out and go - to sell our gourds at art fairs and gourd festivals, to give demonstrations or teach a class, or even take a class ourselves because there is always something new to learn. 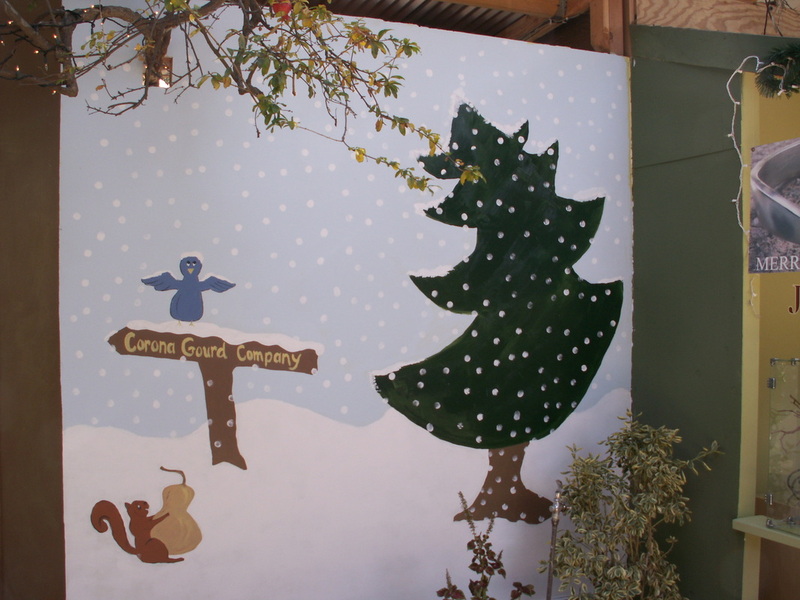 Here are some pictures of where we've been. This was our first year at Within Radius. 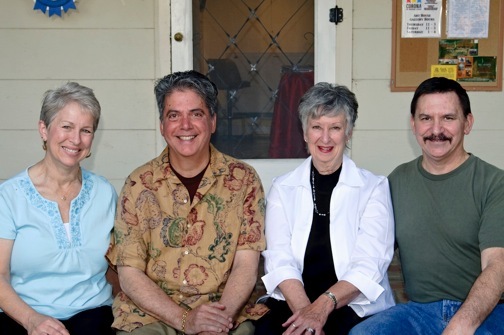 Held at Trinity Lutheran Church, the music was great, the food delicious, and the crowd was friendlly and appreciative. 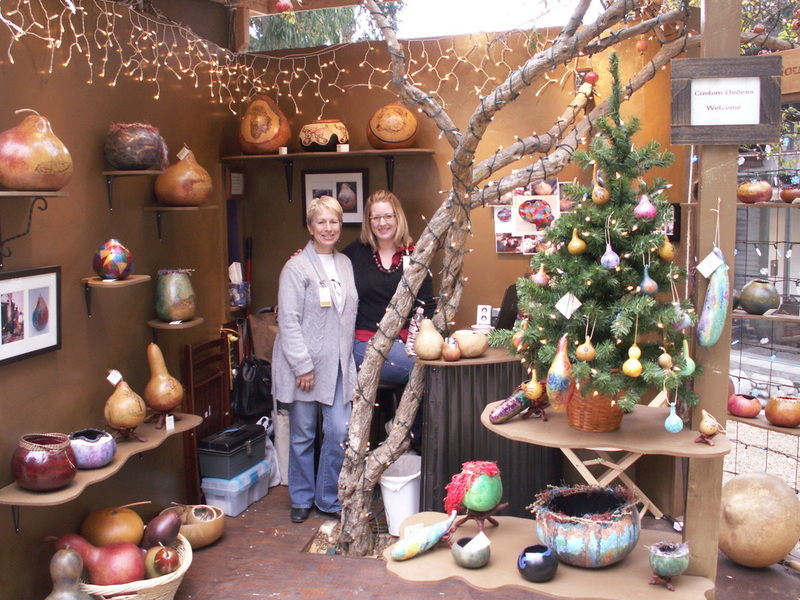 Another fun year at Wuertz - super friendly people and fun entertainment. 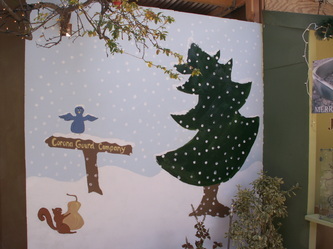 We taught 2 classes this year - our students are all so talented. 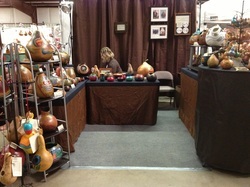 Thanks everyone who made this show a success. 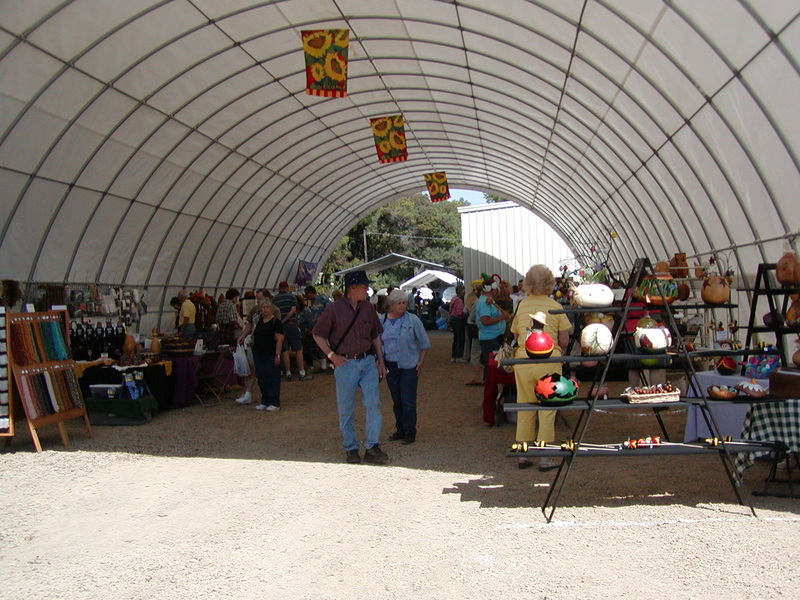 June 1-30, 2012 The Shops at Dos Lagos Art Gallery, 2780 Cabot Dr., Corona This is a juried art show. Saturday August 18, 2012 from 3 - 8 PM at the Shops at Dos Lagos, Corona. 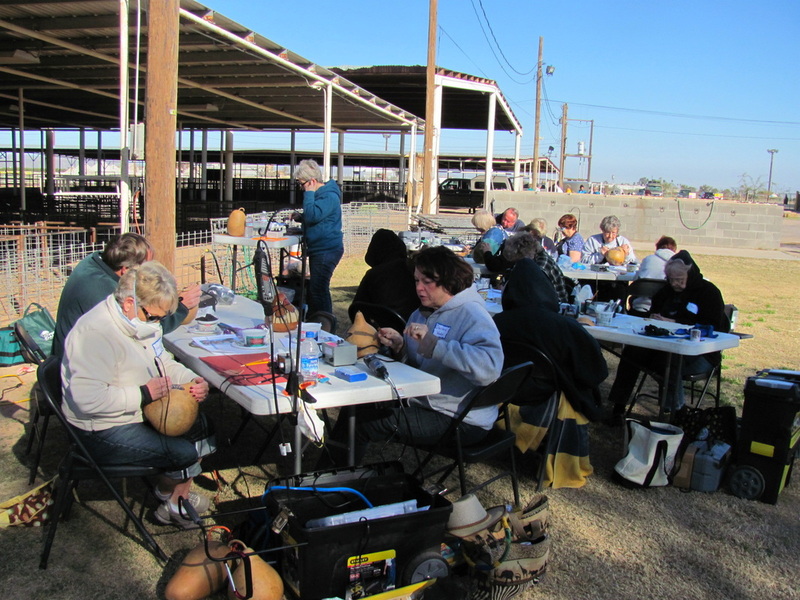 We taught a class the day before the vendor booths opened. Our students were awesome and we all had a great time. We had so much fun at our booth - met so many nice people and sold lots of gourds! 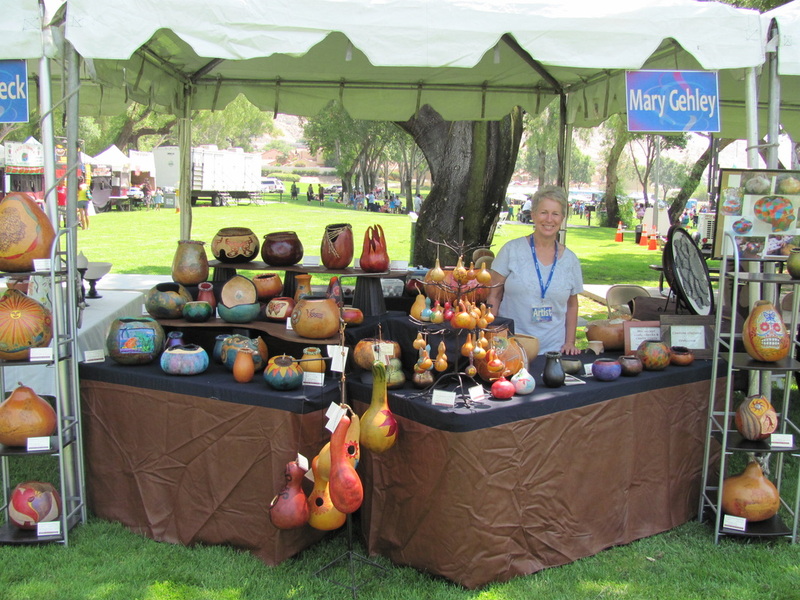 Our second trip to Casa Grande - this time we taught a class on Thursday and manned our own booth Friday through Sunday. 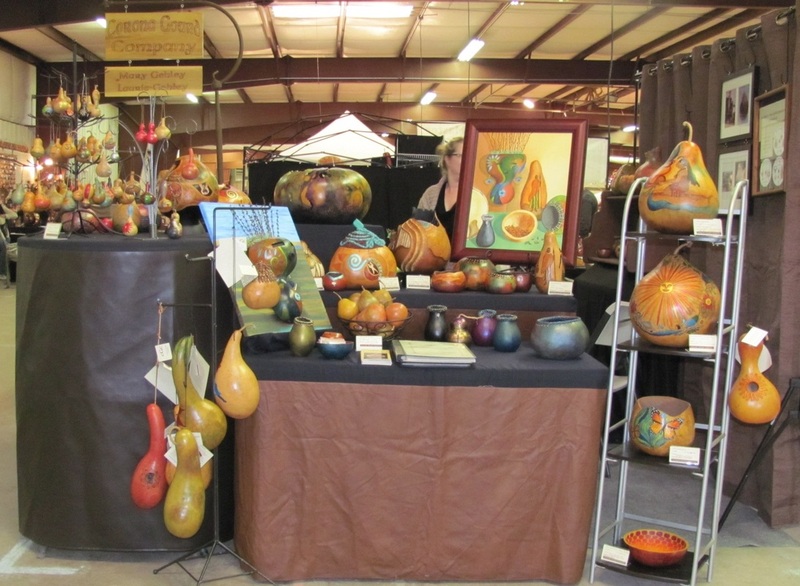 We had our own booth at the Last and Final Gourd Festival at Welburn Farm. 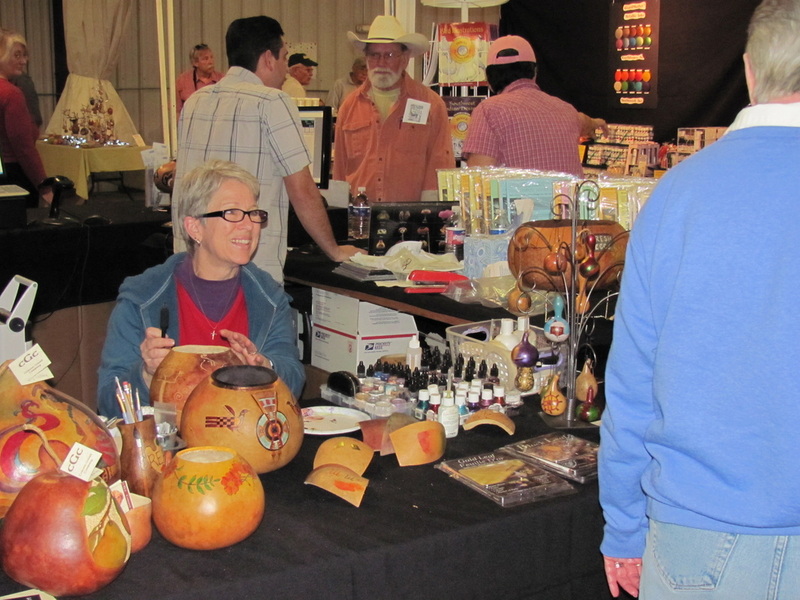 Laurie and family friends manned the busy booth while Mary assisted the customers in the Welburn booth. 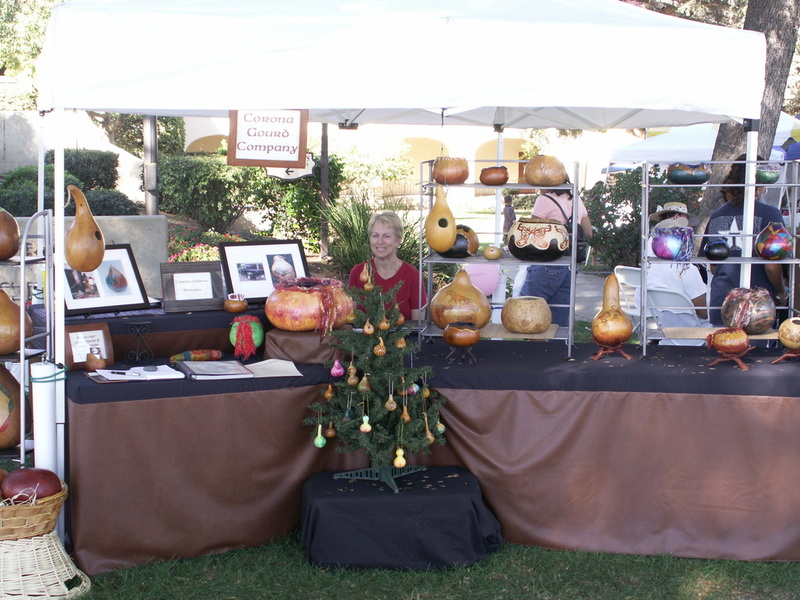 I am the only gourd artist in our local art association. 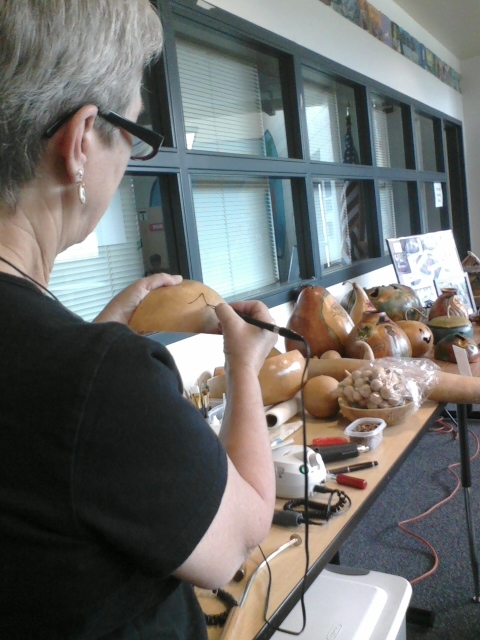 The other artists always had questions about gourd art materials and techniques, so I welcomed the opportunity show them first hand how I work. 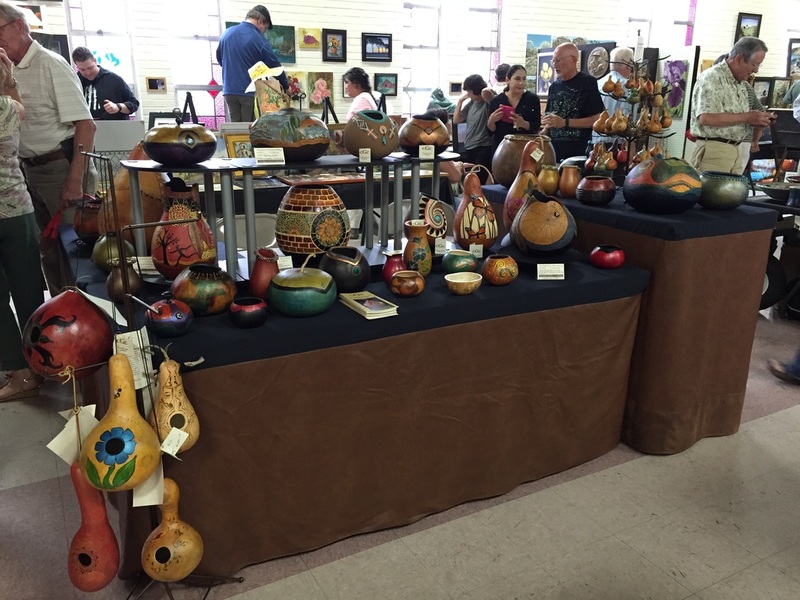 Corona Art Association artist of the year, r. mike nichols, shared his show with the 2nd (Cathi) and 3rd (Mary and Michael tied) place artists. What an honor - thanks for sharing, mike!! 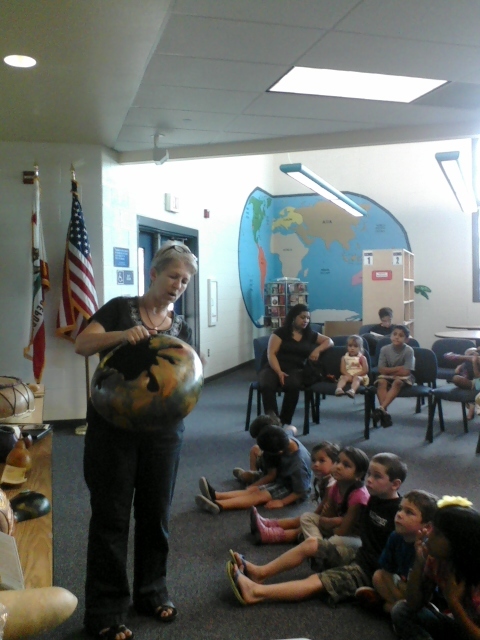 The neighborhood library invited me to introduce gourds and their uses to the children and their parents. 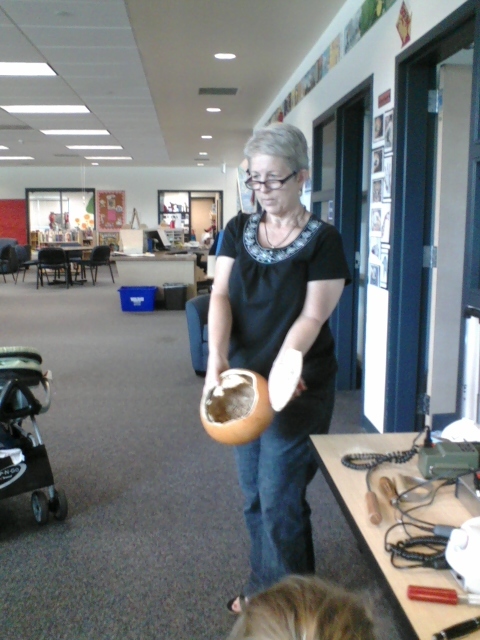 The children were so much fun, and especially enjoyed scrubbing gourds and trying out the gourd musical instruments. 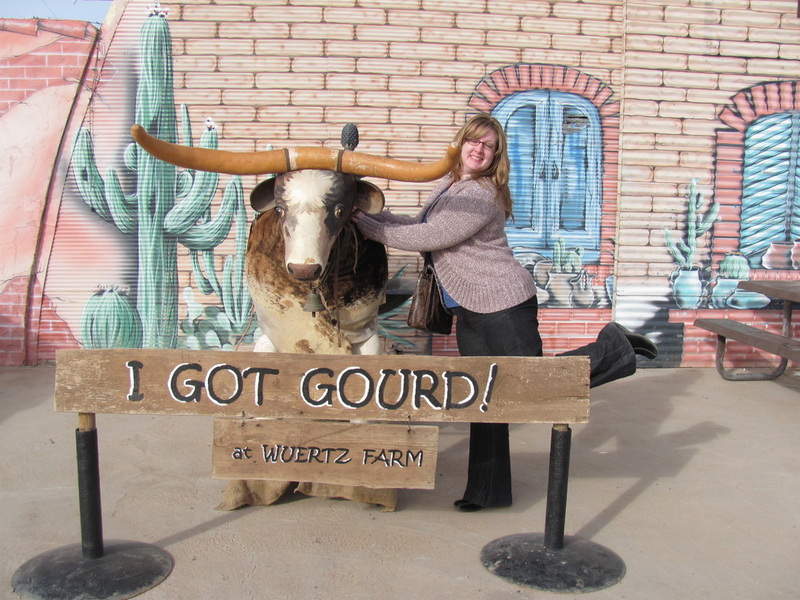 We traveled to Casa Grande, AZ, to the Wuertz Gourd Festival where Mary spent her time demonstrating Gourdmaster products in the Welburn Booth and Laurie enjoyed seeing the sights. 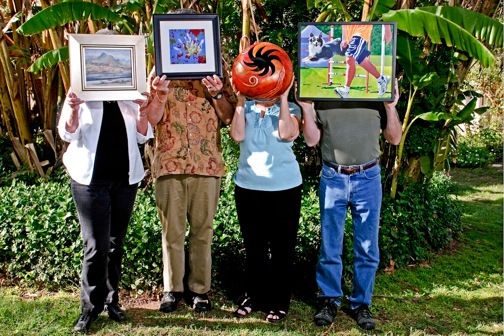 I was honored to have my art accepted into this juried show for art work 14.5" and under. 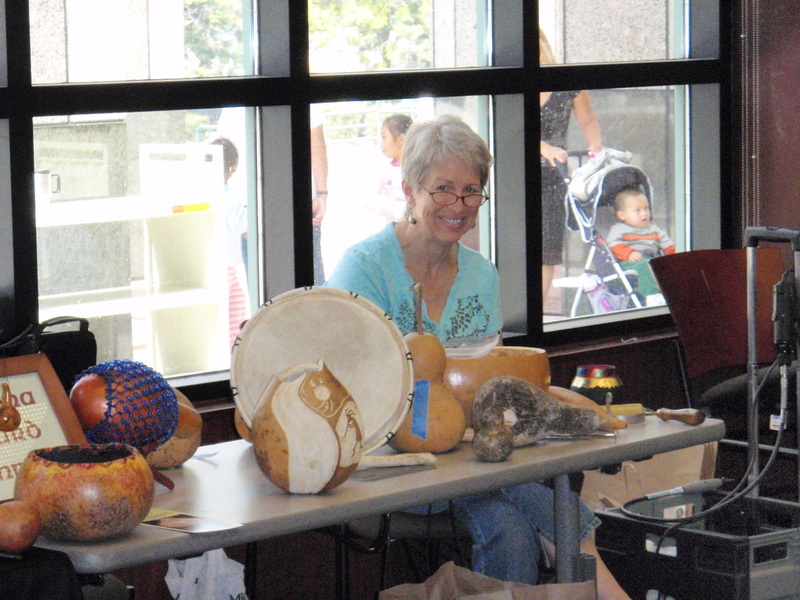 Held at the Corona Public Library, this event highlighted a wide variety of artistic media. 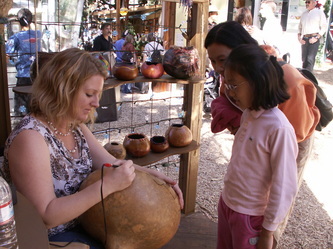 We were able to introduce people to gourds and the gourd art process. 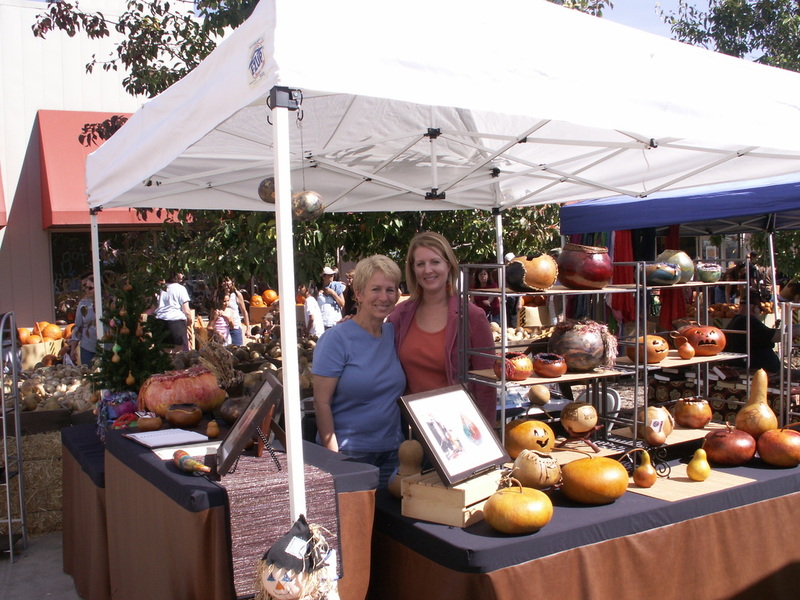 Here we celebrated autumn at the annual Pumpkin Festival at the Pomona campus of Cal Poly. This is a fun family event held every year. For more information, click here. 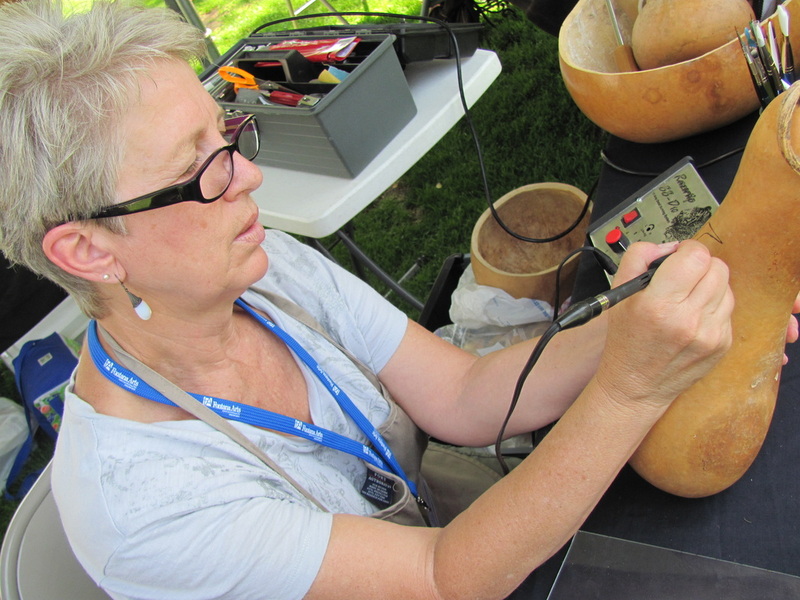 Laurie made a rainstick and learned how to create wax resist coloring using a kitska. 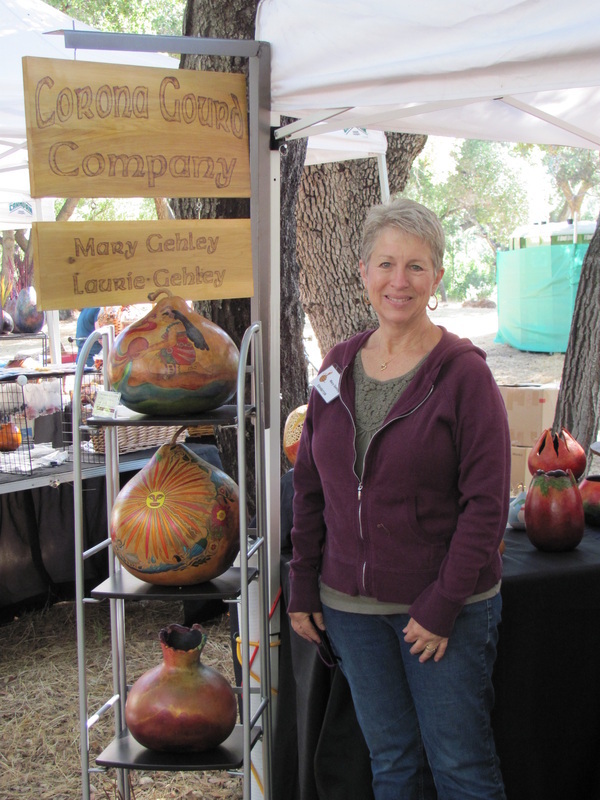 Mary learned how to do coiling with pine needles. 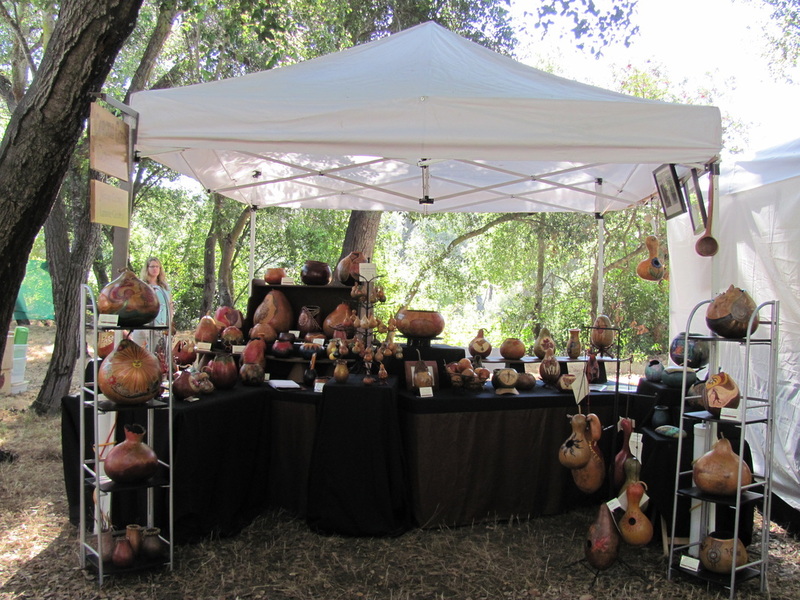 We traveled to Knights Landing, near Sacramento, CA, to visit the gourd festival at Leiser Farm. 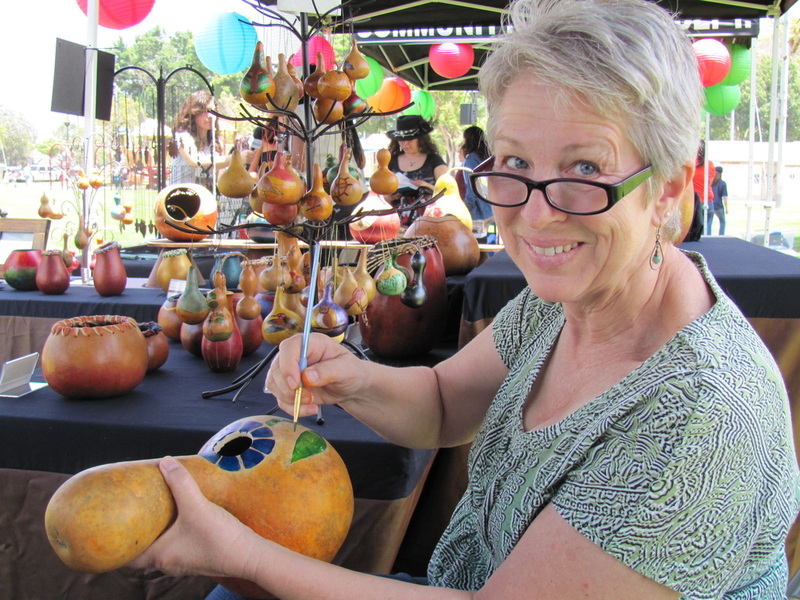 Laurie took a class learning how to make rainsticks decorated with wax resist coloring. 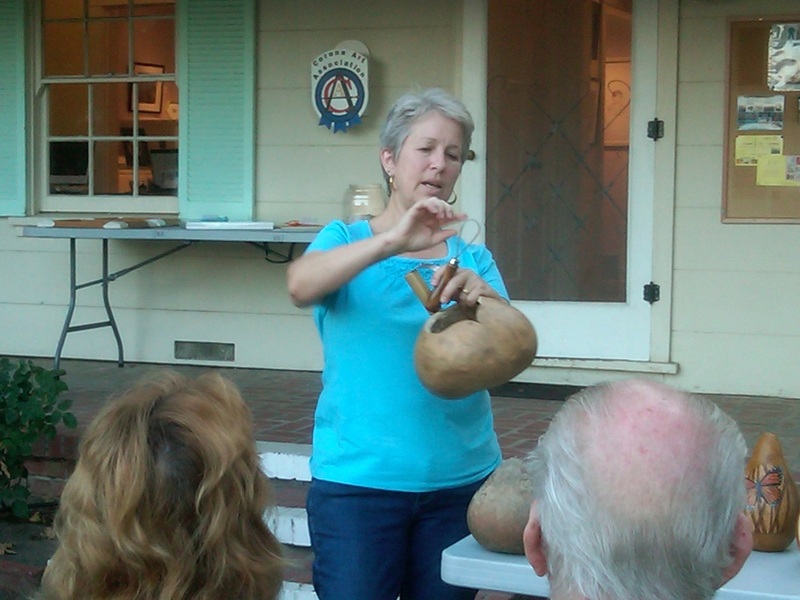 Mary took a class in pine needle coiling. 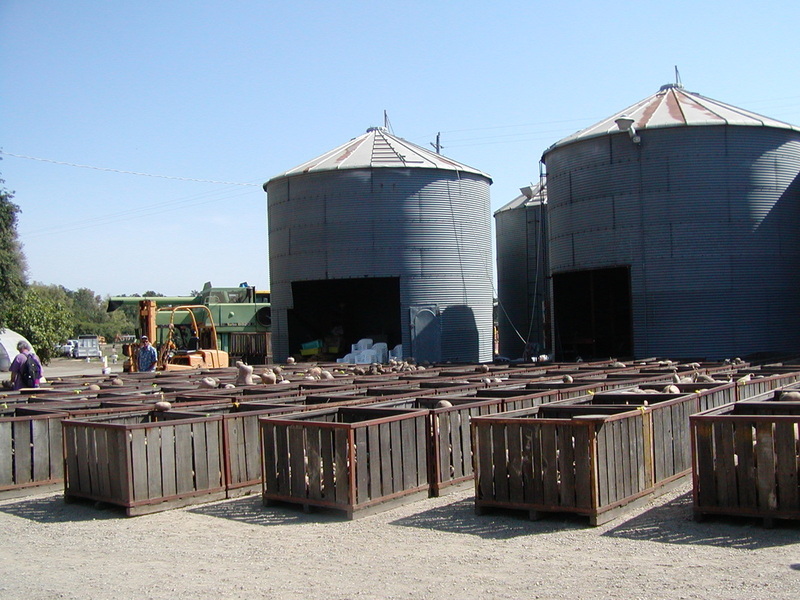 See more about Leiser Farm here. 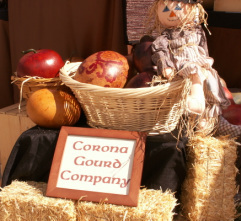 Once known as the "Lemon Capital of the World,"
Corona is proud of it's citrus heritage. 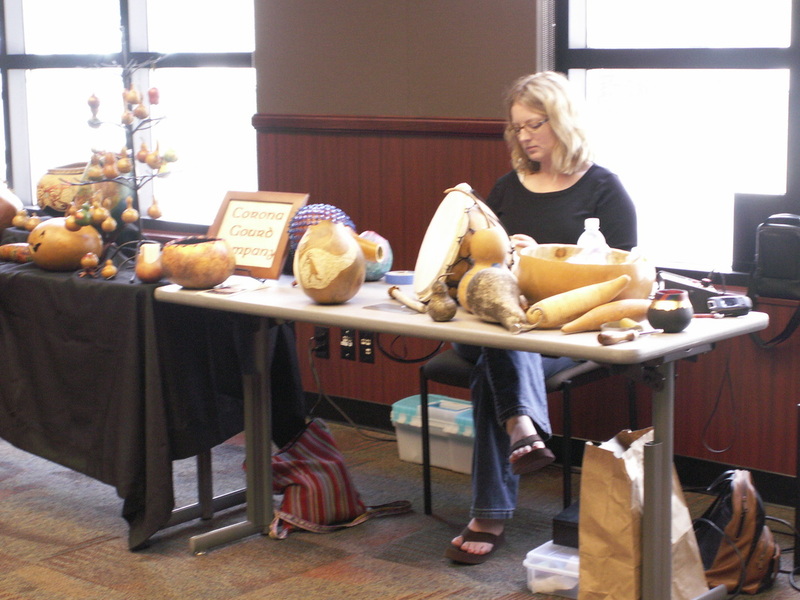 We had a great time showing and selling our gourds while celebrating local history with our hometown friends and neighbors.